WASHINGTON — Repealing President Barack Obama’s health care law without a clear replacement risks making nearly 30 million people uninsured, according to a study released Wednesday. Republicans say that won’t happen because they are working on replacement legislation for a President Donald Trump to sign. Nonetheless, the complex two-stage strategy the GOP Congress is contemplating has raised concerns. The plan is for Congress to first use a special budget-related procedure to repeal major portions of the Affordable Care Act, or ACA, next year. The effective date of that repeal would be delayed by months or years to give lawmakers time to write replacement legislation. The replacement law would presumably do many of the same things that “Obamacare” does, such as subsidizing coverage and protecting people with health problems. But it would not involve as much federal regulation, and it would eliminate a highly unpopular requirement that most Americans get health insurance or face fines. Wednesday’s analysis from the nonpartisan Urban Institute looks at a scenario where “repeal” goes through, but “replace” stalls. It predicts heavy collateral damage for people buying individual health insurance policies independent of government markets like HealthCare.gov. Though nonpartisan, the Urban Institute generally supports the goal of extending coverage to all Americans. Previously it has criticized some of the subsidies provided under Obama’s law as insufficient. The new analysis warns that repealing major parts of the health law without a clear replacement could upend the health insurance market for people buying their coverage directly, outside of the workplace. That group has grown substantially under the health care law, but also includes millions of other customers. The study found that 22.5 million people would lose coverage directly due to repeal of the law’s subsidies, Medicaid expansion, and its individual requirement to carry health insurance. 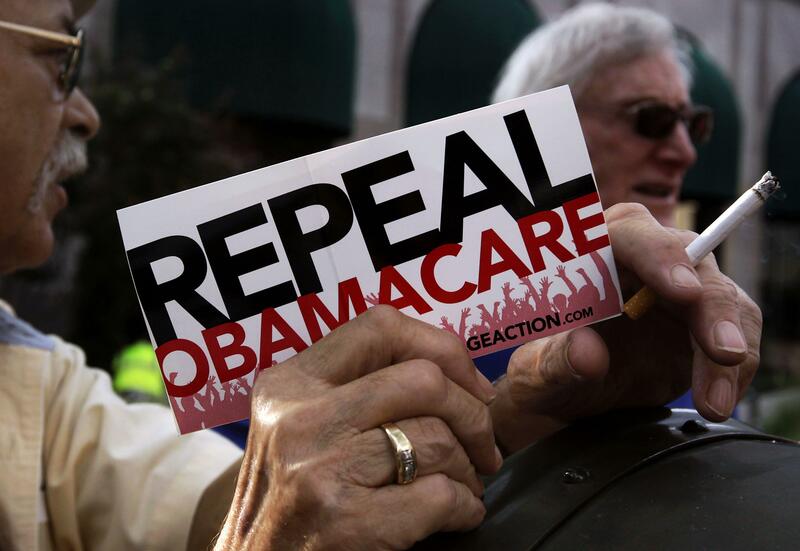 Another 7.3 million would become uninsured because of the ripple effects of market upheavals. That could happen if insurers lose confidence in the Republican promise of a replacement and abandon the individual market. A key industry worry is that a repeal law would get rid of subsidies and mandates but still leave insurers on the hook for covering people with health problems. The number of uninsured people would rise to nearly 59 million in 2019, and the nation would have a higher uninsured rate than when the ACA passed in 2010, the study found. Federal and state governments would save tens of billions of dollars, but the potential price would be social dislocation and a political backlash. “This scenario does not just move the country back to the situation before the ACA,” the study concluded. “It moves the country to a situation with higher uninsurance rates than was the case before the ACA’s reforms. “To replace the ACA...with new policies designed to increase insurance coverage, the federal government would have to raise new taxes, substantially cut spending, or increase the deficit,” the authors added. That’s because the taxes used to finance Obama’s coverage expansion would also be repealed. Republicans say they won’t allow chaos to happen.